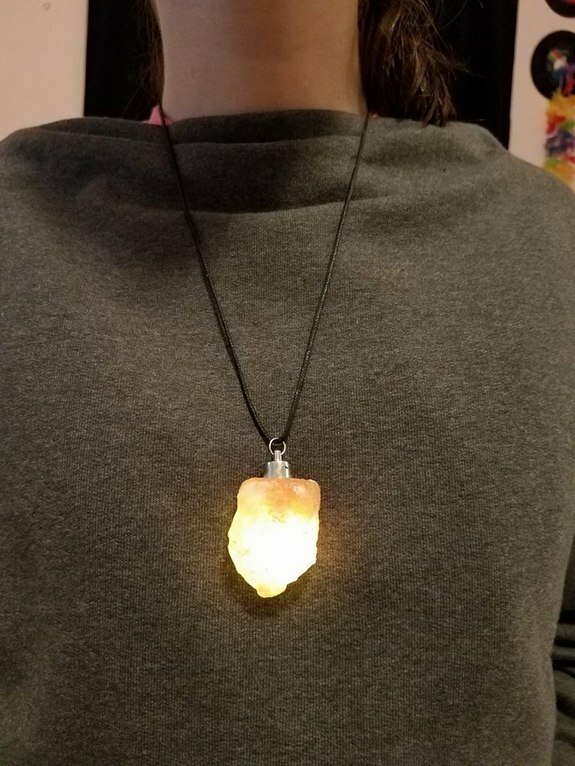 Himalayan Salt Necklace that lights up! 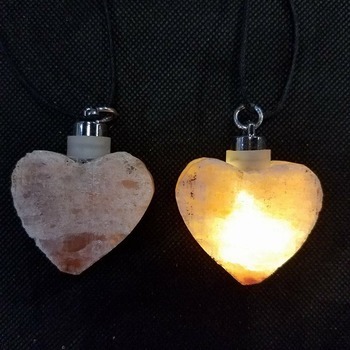 This is a handcrafted Himalayan Salt Necklace that lights up when one wants it to! 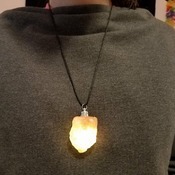 A one of a kind that makes a great gift. Why not balance your ions from cellphone and computer use? You can even hang it in your car or house. It comes with three extra batteries too! 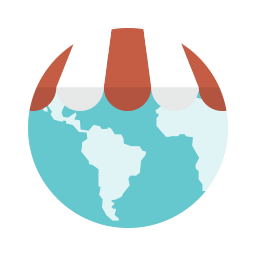 FREE shipping anywhere in the US. 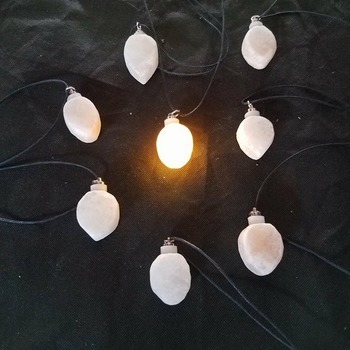 This is a made to order item as they are time-consuming to make.